It means attachment and clinging to people, beliefs, habits, possessions and circumstances. You feel emotionally attached to them and are unable and unwilling to let go, make changes, or get out of your comfort zone. Emotional attachment means lack of freedom, because you tie yourself to people, possession, habits and beliefs, and avoid change and anything new. If you lose something to which you are attached, you feel bad and become unhappy. It is possible to become emotionally attached to certain habits or beliefs, and find it difficult to change them. You might attach yourself to certain people, and this can sometimes lead to unhappiness and suffering if there is a separation. When you build up emotional attachments, you might find it difficult to let go when something gets wrong. You will also be unwilling leave your comfort zone and do something different, meet new people or change your beliefs. When you get used to something, it becomes difficult to let go and make changes. You build strong bonds that tie you like ropes. People in bad relationships, even though they might suffer, often, continue the relationship, unable to end it. They feel attached to one another, even if there is no love between you. There are cases, where a person feels bad in a relationship, yet continues it, due to the fear of being alone and having to deal with a change in his or her life. People also get attached to your possessions, and refuse to throw or give away things that they no longer need. They just hoard stuff, unable to let go of it when they no longer need it, or when it becomes useless. Sometimes, emotional attachment shows up when you need to make changes in your life, from changing your wardrobe, or changing your eating habits, to starting new job or relocating to another city. At these times, there might be resistance and reluctance to make the changes. It might seem strange, but many prefer not to make changes, even if they are living in uncomfortable situations, because they are used to and attached to their present way of life. They are afraid to change the conditions they well know and refuse to leave their comfort zone. This is a form of emotional attachment. Do you get used to the presence of certain people in your life, and feel uncomfortable when they go away or leave you, even if it is only temporary? This is natural, however, when there is too much emotional involvement, and when this becomes too exaggerated, it can become a problem, and you will unnecessarily suffer. There is another side to emotional attachment to people. When there is too much emotional attachment to people, you allow them to transfer their problems, anxieties and stress to you. This might adversely affect your mood and state of mind. You should also be careful of too much attachment, since this can lead to jealousy, anger and fights. Do you hoard stuff? Do you agonize if you lose something you own, or if something breaks down? Is there something that will make you sad or angry if you lose? Is there something, which you feel your life would not be worth much if you lose? This is due to too much emotional attachment to possessions. It might seem weird, but people are attached to their smartphones, certain clothes or other possessions. It is like a kid who is attached to his or her toy or doll. It is okay to have possessions and enjoy them, but you need to develop a certain degree of detachment, so that if you lose something you remain calm and poised. Everything in life comes and goes. Accepting this idea allows you to let go, develop a certain degree of detachment, remove your attachments, and be willing to go forward, leave your comfort zone, and make changes in your life. Smoking, overeating and overworking are addictive habits. People who are addicted to them know that these habits are unhealthy for them. Yet, they do not have the inner strength or desire to overcome them. People who smoke heavily, for example, or people who love to eat, are unwilling to let go of these habits. They feel they would lose something important if they give them up. They feel they cannot live without their habit, but they are wrong. Life would be much better without these habits, but to overcome them, some work is required. You will need to resist them over and again, and remove your attachment to them. This requires that you learn some willpower, self-discipline and motivation. Another phase of emotional attachment is the habit of clinging to situations or places. We might not want to move to another house or another town, because we want to stick with the familiar environment and the people we know, even when the change is good for us. We often do not want to change anything we are used to do, since it feels familiar and safe. This attitude prevents progress and improvement. Dwelling on the past, irrespective if it was good or bad, and longing for the past, keeps you in the past. The past is gone and you cannot bring it back. The future has not occurred yet. The only thing that exists is the present moment. This is the only real time that exists. To be happy and successful, you need to stop dwelling on your bad memories and reliving them. You need to start living in the present. You need to focus on the present moment, enjoy it, and make the most of it. This would free you of most of your emotional attachments. Emotional attachment, when exaggerated, is like chains that tie you down and take away your freedom. 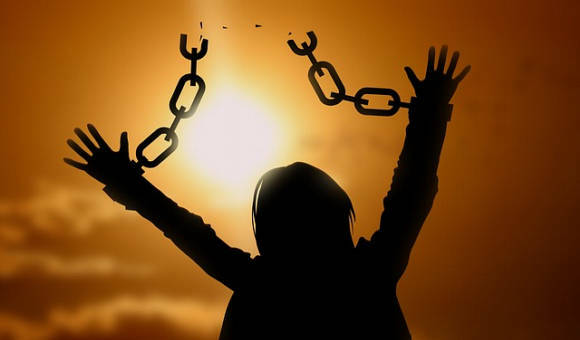 Freeing yourself from these chains brings you inner peace, happiness, common sense and freedom of choice. You can love, own possessions, and yet not allow them to interfere with your judgment and choices or limit your freedom. For this, you will need to develop a little detachment. I hope that this article clarified a little what does emotional attachment mean and contributed to its definition.